Yeah, yeah, yeah. I hear ya. But orange is still my favorite color. 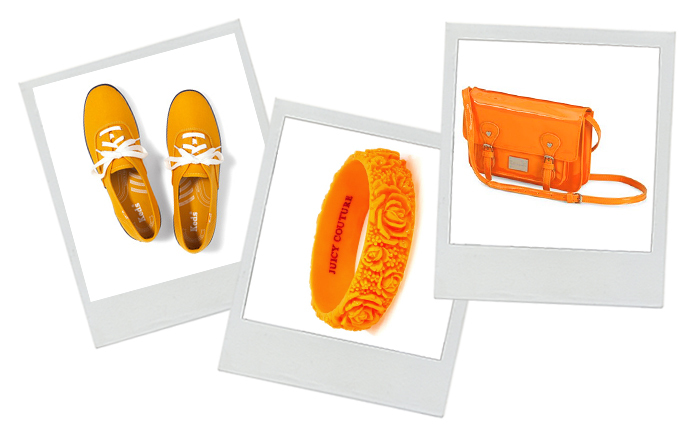 In the last dose of orange for this month, I urge you to look into some orange accessories. So bright and fun! Just in time for summer! 1. Comfy shoes to walk, bike or just chill in. 2. This bracelet is orange and got roses on it. I know! 3. Saying “purse” dates you. This handbag is delightfully orange and adds nice pop of color to any outfit. Go get something orange for yourself. And eat an orange while you are at it. It’s good for you!